C-reactive protein, once obscure, may play an important role in predicting the risk of heart disease. “[Not that many years ago], most physicians would have confidently described atherosclerosis as a straight plumbing problem: Fat-laden gunk gradually builds up on the surface of passive artery walls. If a deposit (plaque) grows large enough, it eventually closes off an affected ‘pipe,’ preventing blood from reaching its intended tissue. After a while the blood-starved tissue dies. When a part of the cardiac muscle or the brain succumbs, a heart attack or stroke occurs. When tissues become inflamed, they release several different proteins, including CRP. For this reason, CRP is a “marker” for systemic inflammation. While injuries and infections can cause brief spikes in CRP, a persistently elevated level of C-reactive protein may (in the absence of other reasons) suggest that blood vessels are inflamed. 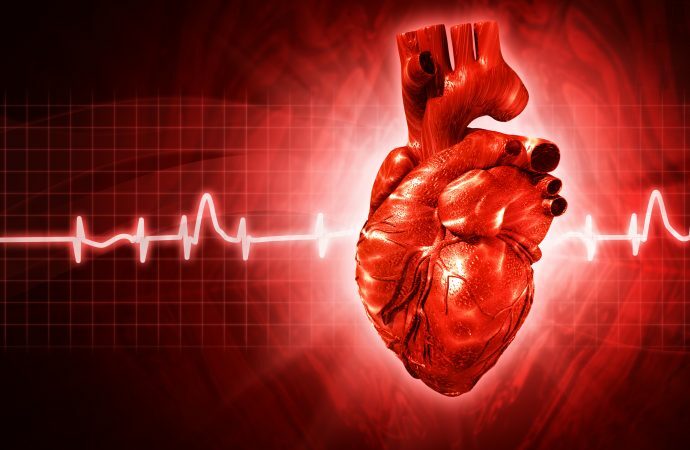 For this reason, it may be a useful predictor of heart disease risk. How well does CRP predict heart disease? Some scientists have predicted that CRP may turn out to be as strong a predictor of heart disease as cholesterol levels. This was first suggested in a landmark study of nearly 28,000 women without a prior “coronary event” (a heart attack, unstable angina, or sudden cardiac death) published in the New England Journal of Medicine. Surprisingly, the study found that high levels of CRP were a stronger predictor of risk than high levels of LDL (bad) cholesterol. After adjusting for other variables, such as age, smoking status, and diabetes, women with the highest levels of CRP were more than twice as likely as women with low CRP to have a heart attack or stroke. In contrast, women in the group with the highest LDL cholesterol were only about one and a half times as likely than women with low cholesterol to have a heart attack or stroke. This study helped confirm what many experts had already suspected. Taken together, high cholesterol and high CRP may predict heart disease. But even if a person has low cholesterol levels, a high CRP may be cause for concern. While more recent large, population-based studies continue to show an association between elevated CRP levels and heart problems, experts also continue to vigorously debate whether or not high levels of CRP can cause atherosclerosis. For example, a 2008 study of over 10,000 people with certain types of genetically elevated CRP did not show an increased risk of ischemic vascular disease, or problems caused by narrowed blood vessels. In addition, a 2010 review from scientists at University College, London of 83 scientific studies on CRP and heart disease involving more than 60,000 patients concluded that there was so much publication bias that no clear clinical recommendations could be made. Should I be tested for CRP? The American Heart Association (AHA) and the Centers for Disease Control (CDC) do not recommend the test for those at low risk for heart disease. But if you’re at intermediate risk — that is you have a 10 to 20 percent chance of having a heart attack, stroke, sudden cardiac death, or unstable angina in 10 years — the AHA and CDC say such a test can help predict such problems and help a doctor determine treatment. If you are already at high risk, the AHA and CDC note that you should probably be receiving intensive treatment regardless of your CRP levels, so the test isnt as useful. To test CRP levels as a risk factor for heart disease, doctors use a high-sensitivity CRP assay (hs-CRP), which is more accurate than the older version of the CRP test used to detect other inflammatory conditions. You want your hs-CRP score to be under 1 mg/L. A score between 1.0 and 3.0 mg/L represents average risk and above 3.0 mg/L represents high risk. The tests for both cholesterol and CRP can be conducted with the same blood sample. What increases the level of CRP? Many well-known risk factors for heart disease also seem to raise the levels of CRP. According to a report in the journal Circulation, smoking, high blood pressure, extra weight, and lack of exercise are all associated with high CRP. Genes also seem to play a strong role. If your parents had high levels of CRP, there’s a good chance you will too. What is the best way to lower CRP? The same tried-and-true strategies for reducing the risk of heart disease can also help lower CRP. Eating a diet high in fruits, vegetables, and whole grains, exercising regularly, maintaining a healthy weight, controlling blood pressure, and avoiding tobacco are all important steps. Talk with your doctor about whether medications will help. Patients who were given high doses of a cholesterol-lowering statin drug also experienced a drop in CRP levels and in heart attacks, according to the New England Journal of Medicine study. If a heart attack or stroke is looming in your future, now is the time to act. By maintaining a healthy lifestyle and working with your doctor, you can protect your heart — and perhaps save your life. Schunkert H et al. Elevated C-Reactive Protein in Atherosclerosis — Chicken or Egg? (Editorial). The New England Journal of Medicine. Volume 359, Number 18. October 30, 2008. Ridker, P.M. C-reactive protein: A simple test to help predict risk of heart attack or stroke. Circulation. 2003. 108:e 81. Ridker, P.M. et al. Comparison of C-reactive protein and low-density lipoprotein cholesterol levels in the prediction of first cardiovascular events. New England Journal of Medicine. November 14, 2002. 347(20): 1557-1565. American Heart Association. Inflammation, heart disease and stroke: The role of C-reactive protein. 2002. Libby, Peter. The Fire Within. Scientific American. 2002. Pearson, T, et al. Markers of inflammation and cardiovascular disease. AHA/CDC Scientific Statement. Circulation 2003; 107: 499.